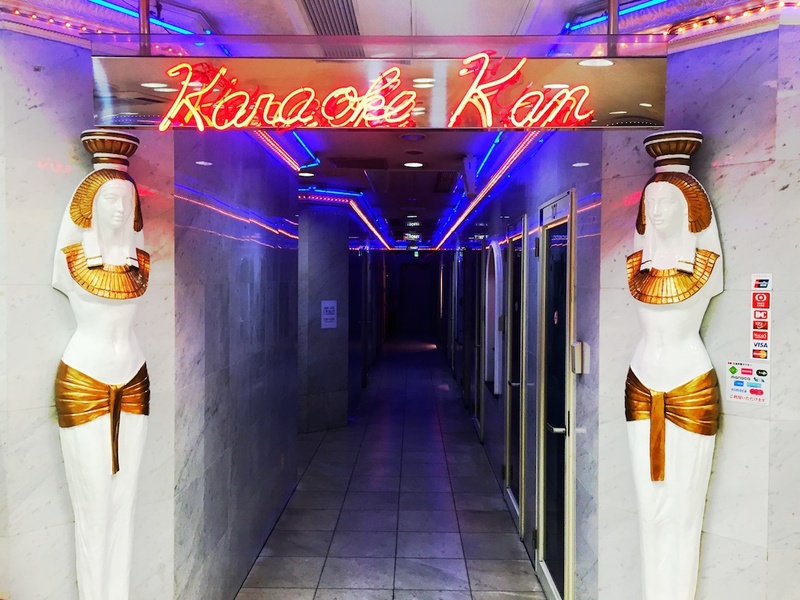 You are here: Home » #17 Complete – Sing Karaoke in Japan! 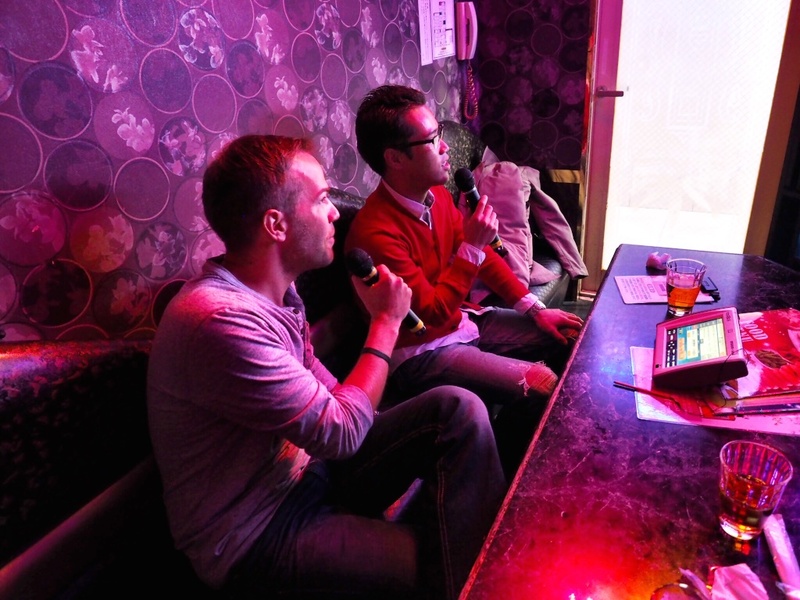 Who knew that singing karaoke in Japan was going to take us so darn long to cross off our While We’re Alive list? It seems easy, right? Step 1: Fly to Japan. 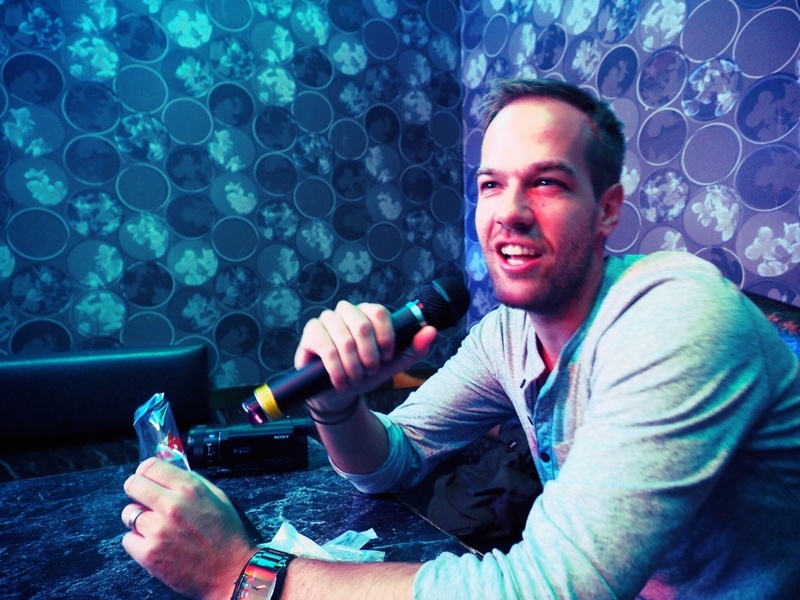 Step 2: Find a karaoke bar. Well, if you’ve ever been to Japan before, you know just how intimating it can be at times. 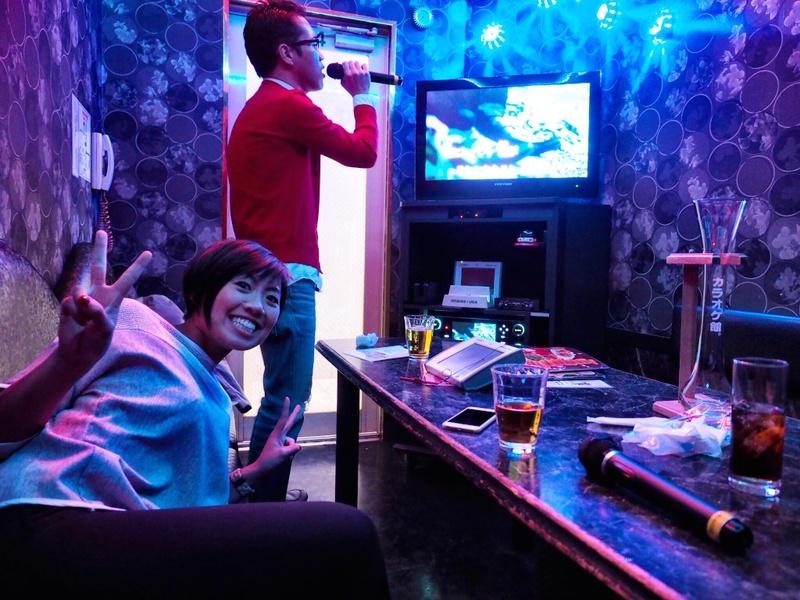 While you can find a karaoke bar (or three) on every block in Tokyo’s Shinjuku district, they just don’t seem conducive to a couple of non-Japanese speaking Canadians living in Singapore. That’s why if we were going to do this, we would need a Japanese friend. Lucky for us, we have one! 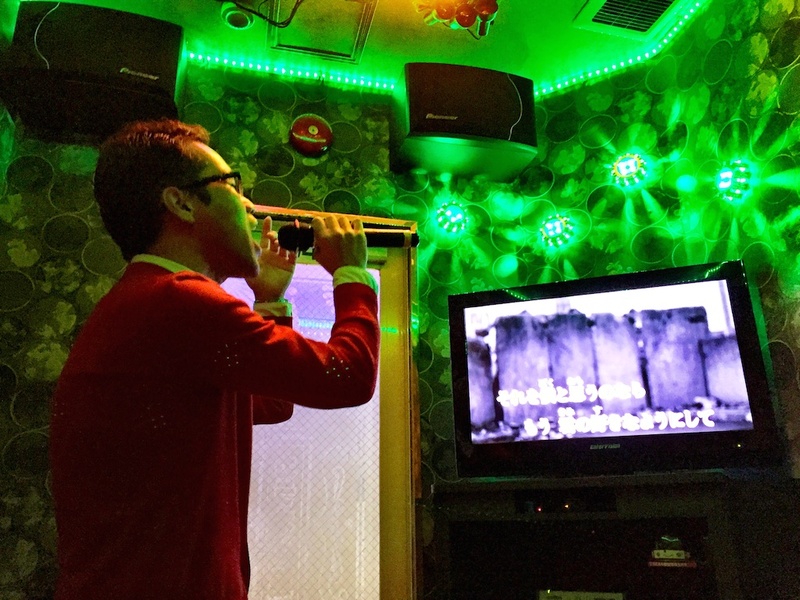 It wasn’t hard for us to convince our friend Aki to go for a little karaoke. After all, he’s the guy who stole the talent show with his rendition of Hey Jude in grade 12. 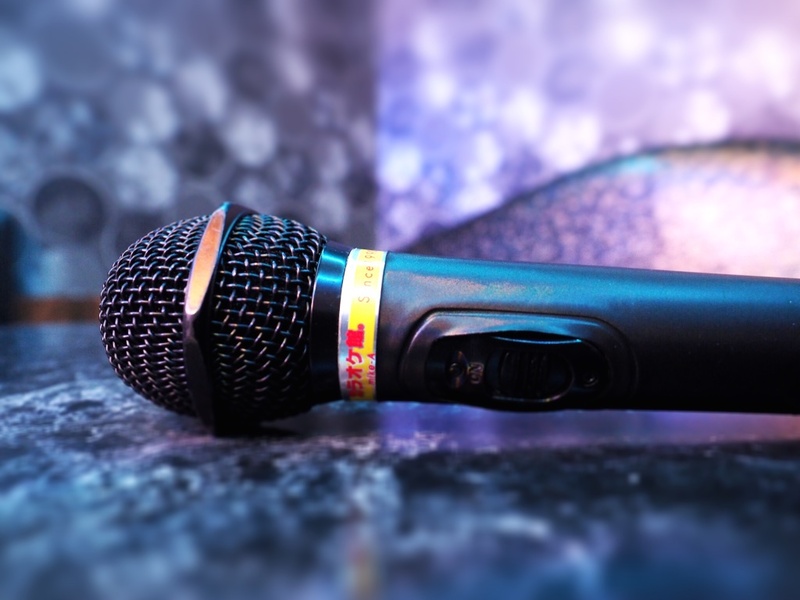 He loves to sing just as much as the next guy in Japan, which is evident in his frequent-singer membership card entitling him to 25% off! There was no humming and hawing when we asked if he was interested. He was definitely in! So, a little ramen in our bellies and we were off to sing our hearts out. Needless to say, we nailed it! 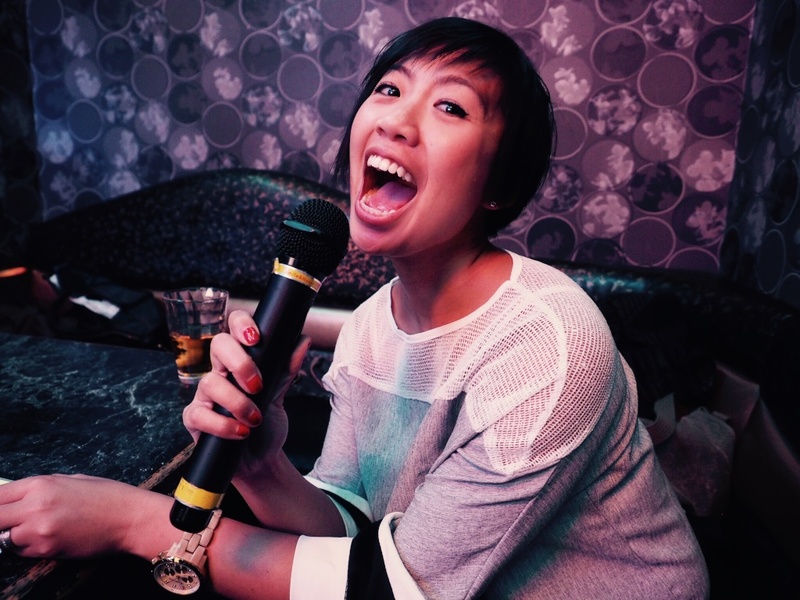 We love to sing as much as the Japanese. They have English songs too! We’d have a “frequent-singer” membership card too if we lived in Japan! ← Tokyo From Above – The Best FREE View in the City! Hi there. 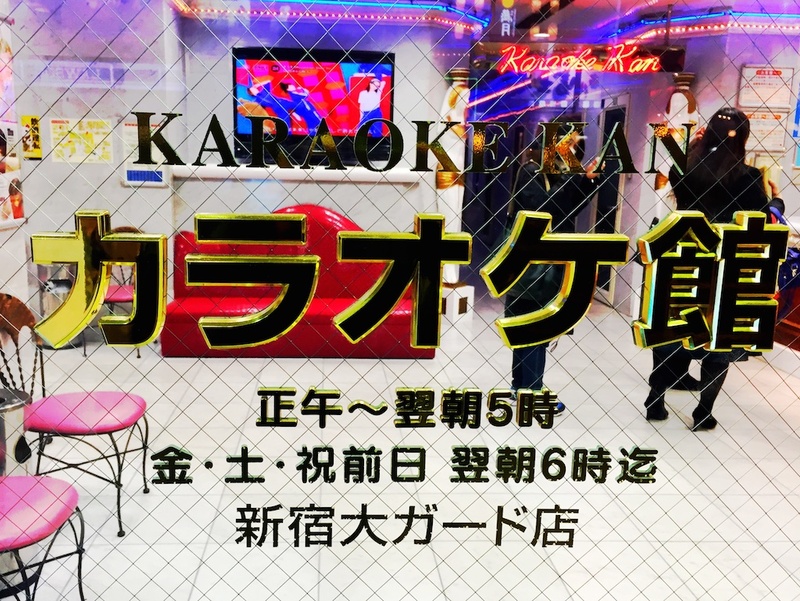 I’m making a documentary short about karaoke and I wondered if I might include your picture above as an example of a private karaoke room? I’m interested in the one with the green ceiling.